Crafted by Michael Berman Limited, exclusively for Robert Abbey, it offers a fresh, stylish accent for a living room or bedroom. 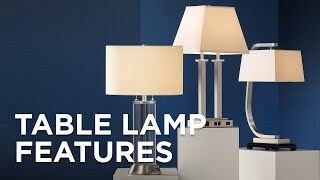 Ceramic and steel construction add up to a beautiful lamp with texturized effects and a finish in matte sky blue glazed with modern brass accents. 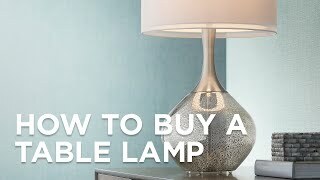 This contemporary ceramic table lamp features a cool, neutral oyster linen shade and includes a hi-lo dimmer at its socket. 25 1/4" high. Base is 5 1/2" wide. Shade is 17" across the top x 17 1/2" across the bottom x 11 1/2" high. Atlas contemporary ceramic table lamp from Michael Berman Limited. Matte sky blue glazed and modern brass accents. Ceramic and steel construction. Beautiful bands of accents bring visual interest to the top and bottom of the conical shape of this ceramic table lamp. 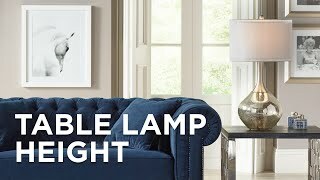 Simply styled with subtle ribbingthis contemporary table lamp wears a matte midnight blue glazed finish.